Today is the feast of St. Martin of tours, one of the patron saints of soldiers. Saint Martin was a Roman soldier who laid down his arms to follow the peaceful way of Christ, and becoming a monk, dedicated his life to serving the needy. 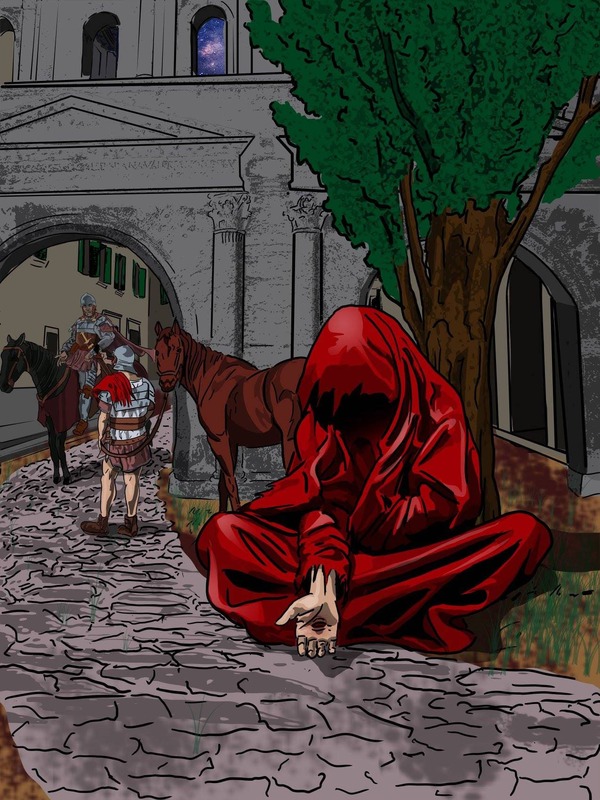 While entering a city one day he encountered a beggar wearing little and freezing to death. Martin took out his sword and cut his cloak in half giving a piece to beggar. When his commander attempted to upbraid him, Martin remind his commander that he had to pay for half of the cloak so he gave the beggar that half. Later that night Martin dreamed that it was Jesus wearing the cloak he had given the beggar. Martin would later escape military service and would day become a Bishop. In days gone by Advent used to be fourth days long like Lent and would begin the day after St. Martin’s feast day. In honor of his feast and in preparation for Advent warring countries in Europe would often sign peace treaties on St. Martin’s day in honor of him and preparation for Advent. Honoring this tradition, the official Ceasefire that ended WWI, was signed on the feast of Saint Martin during the 11th hour. To remember the nearly 20 million people who died in World War I, nations began holding a yearly moment of silence and prayer at the 11th hour on November 11th. These remembrances eventually turned into what we know today as Veterans Day.